Wow, where do I start?? 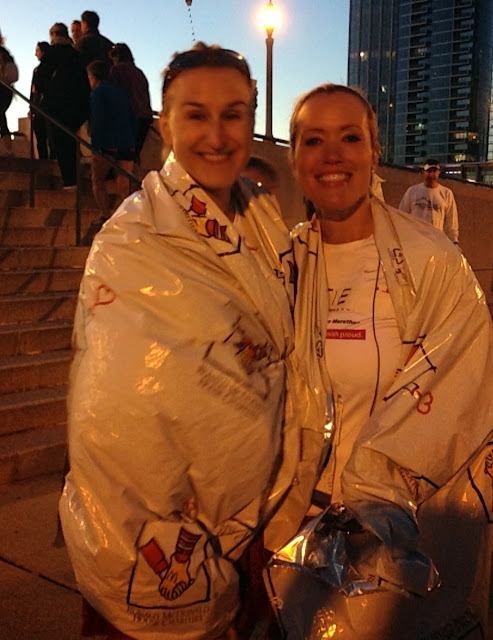 This post will be all about my race, tomorrow I'll write about all of the fun stuff I did in Chicago! Amanda picked me up from my hotel at 5 a.m. on Sunday and off we went to the race! First we went to the Ronald McDonald House Charity tent. It was nice and warm in there! I ate a banana, we all took a group picture and we were off to our corral's! I got to my corral about an hour early. 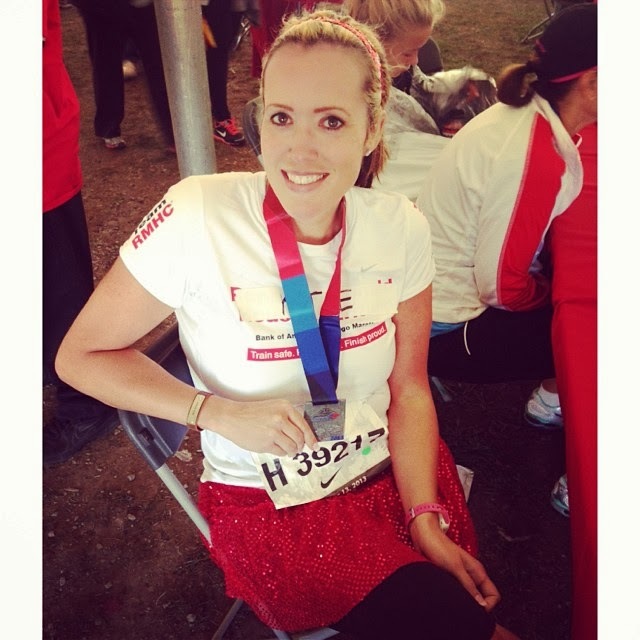 While I was waiting, I started talking to Jessica, who was running her first marathon. She is SO sweet and it was really nice to have someone to chat with, and it really helped calm my nerves! At 8:00, we were off! It took about 15 minutes to cross the start line. The start line is WAY up there! Jessica and I ran together the first 5 miles. She was telling me all the landmarks and giving me the 'tour' as we were running. (She lives in Chicago) We separated for a while, then got back together a few miles later. Shortly after that my stomach started hurting, so I had to start walking. Mile 10 I started slowing down. Mile 13 I started walking. I have never had stomach issues while running. Never! I kept trying to run, but only lasted a few seconds each time because the pain was so bad. I was so mad. I had trained for months for this, I knew I could reach my goal of sub 5, or at least be close. I just knew it! The weather was absolutely perfect, my legs felt good, I was going to make it!! Then I was going to come home and be so ecstatic that I reached my goal, and everyone would be proud and happy. But, that didn't happen. I walked almost the whole 2nd half. It was very humbling to be in the very back with all of the walkers. Of course walkers are awesome, nothing against them. I admire anyone who walks a marathon. But when you're a runner, and you are planning on running a marathon, but instead you walk it...disappointing. A forced smile (hey, I have a halo), my mad face, and my "when will this pain be over" face. My finishing time was 6:03. What caused my stomach issues? I really don't know. It could be because I didn't eat enough the day before the race. I ate very little. Amanda and I went to an Italian restaurant for dinner and I got chicken alfredo, but I only ate about half of it. Before the race I ate a banana. I did take 3 GU's during the race though. Could it have been all the Gatorade I drank on the course? I could definitely feel it sloshing around in my stomach! But I can't imagine that would be the cause of it. I do believe it was that I didn't fuel properly. My body just had nothing left to run on. Ahh, how could I be so stupid! Well, lesson definitely learned. After the race I went to Wisconsin for a couple days to visit my sister. Driving back through Chicago on my way home, it hit me for the first time and I couldn't stop crying, The disappointment is overwhelming. I was just expecting so much, and then it didn't happen. Being a runner, I know bad runs are going to happen though. It's just like life, you can't always expect everything to be perfect. There are some things beyond your control, and then some things you have to learn the hard way. We just have to figure out what happened, and carry on! My next marathon is in 7 weeks and you better believe I'm going to eat right and KILL IT at that one! On Tuesday I went for a 3 mile run, and it was bliss! Bad runs definitely make me appreciate the good runs. And 99% of mine are amazing. You can and will overcome the struggles in running and in life. Everything happens for a reason, and we have to use the bad things and the struggles to motivate us and make us stronger. Don't ever give up! Thank you to all of my friends, followers and fellow bloggers for your AMAZING support and encouragement. As I was reading all of the comments, I was thinking THIS is why I do it. This is why I keep going. If I can inspire one person to not give up, to believe that you can do anything you set your mind to, then it's all worth it. It's all worth it. You could not run the entire marathon....thats ok.
Stuff happens and we cannot do nothing about it. You are looking stunning in all your clicks. I am so glad that you finished! Sure, you had to walk and you were upset, but you finished! It would've been so much easier to just stop and not finish... but that's not the Katie that I know and love! <3 I am SO proud of you! Pushing forward when your body was trying to hold you back. That, in my book, is a magnificent finish. Do not be ashamed of it. You are a runner! What marathon are you running next! THREE in one year! Woah lady! You're giving #beastmode a new meaning! You're so amazing! Thank you so much, Carie! My next marathon is the Tri States marathon in Las Vegas! I can't wait!! Thank you for all of your support. You're the best. Love you!! I'm sorry you went through the same thing. I'm starting to think I drank too much gatorade. But you're right, we finished! Hope your injury heals soon so you can get back to it! I second what Running on Candy said! You crossed that finish line and that's what matters! Pre-race nutrition is SO important. Especially when you're traveling to a race - you're more than likely going to be eating out. For me, I know that pasta doesn't always sit well with me so if I'm going to carb load with pasta I have it 2 days before the race. The night before I stick with something lighter like grilled fish / chicken and a salad. That usually works for me. You'll definitely have to experiment and figure out what works for you. I think I'll try that next time, maybe try loading with carbs 2 days before, instead of the night before. I've got to figure this thing out. Thanks Phaedra! Treat Chicago as a learning experience and get ready for the next race...you tougher it out and finished the race while others couldn't. Be proud of that! I am super proud of that! Congrats on your awesome race too! The running community is just amazing. I love how supported I felt, even when I was walking. They never once made me feel like I wasn't wanted on the half course. I agree, this community is SO amazing! That's exactly right, I felt just as loved as the runners! Tri-States is only 7 weeks away! I'M NOT READY! Kidding. Actually, I'm feeling pretty good about it. I know you're going to kill it, too. I'm so sorry the race didn't go as you'd hoped but you definitely have a lot to be proud of. You're going to kill this next marathon!!!! Thank you Suz! I can't wait to do this next one better!! I'm so proud of you because you DIDN'T quit and you finished despite having such tummy pain!! That to me is inspirational!! I'm hoping to redeem myself tomorrow for my 16mi run...as you know, my last 16 miler was filled with major tummy issues and I'm still trying to figure out why exactly! My worse fear and it happen, ugh :( I just know that you will do fantastic in your next full!!! Hugs! Thank you so much, Louisa! I gotta go check out your fb page to see how your run went! Hugs! I'm sorry you had tummy issues and the race didn't go as planned. But a finish is a finish, and you did that! Make a note or write in your journal all you ate the 2 days leading to the race, and race morning and anything you ate during the first part of the race. That should help you avoid those things in the future until you can pin down what caused it. Best of luck in your next race! 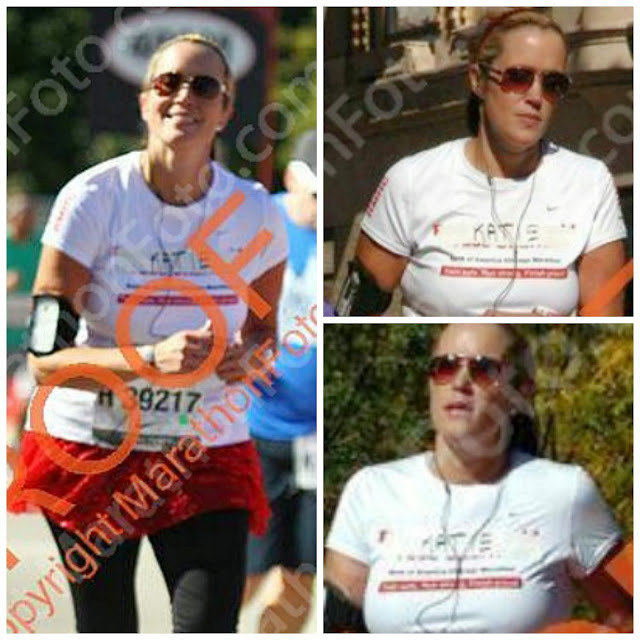 I've had a lot of bad marathons. Sometimes the formula is just off, be it weather, nutrition, or just luck. Keep your head up. You dealt with it the best that you were able at the time. I'd also recommend less Gatorade next go round. Unless that's your normal MO and it normally works. The Gatorade really bothers my tummy. I only use it a couple times throughout the entire race, I mostly rely on water & my rehydrate gels. Hugs!! Don't beat yourself up! On to the next one! I'm starting to think it might've been the gatorade. I mean I drank a LOT. Next time I'll only drink it once or twice. It just tasted so dang good. Lol! Thanks Amanda! Hugs! Thank you Teresa! I did see a couple tables along the course with people giving out doughnuts! I've never ate those during a race, so didn't want to take a chance on that. Sounds like you definitely needed it though! Congrats on sticking with it and finishing the marathon. We all have bad races, and the best you can get out of them is to learn from your mistakes. You'll do great in your next marathon! you weren't a quitter...you power'd through the pain and crossed that finish line! Onward and upward! I give you a lot of credit for continuing on in spite of your stomach issues, many would have quit. I know in the past I've had issues with too much gatorade, especially when using something like a Gu or shot blocks. I pretty much stick to plain water now and save the sports drinks for after my run. Keep up all the hard work. I know it will pay off at your next race! Thank you Maureen! Looking back on it, I do think I drank too much gatorade, and didn't eat enough beforehand. (Only a banana) The next one will definitely be better! Thank you Pam! I definitely agree! I am SO proud of you! You're amazing!! You did it! You got through it, and THAT is sooooo amazing and wonderful and freaking HARD! You know I had a similar experience at Santa Rosa, but you just remember that it's another marathon finished. More experience in your body. I truly believe that getting through a tough marathon is major accomplishment, so congrats on finishing yours!!! And you're right... the next one will be amazing! Thank you so much girl! You are such an inspiration to me. Thank you so much Jenn. I think I know what I did wrong, so next time will be very different! I am so thankful for people who push us and make sure we don't quit! Thank you Marion! I am sorry you did not have a great run, you were so looking forward to it. It was a pleasure to meet you in person and I am sure you will have a great marathon next time. It was very disappointing, but I know the next one will be better! I hope we get to run together someday! So sorry it didnt go as planned. But one of the great things about running is, there's always a next time! Always a chance to redeem it (in our own heads!) 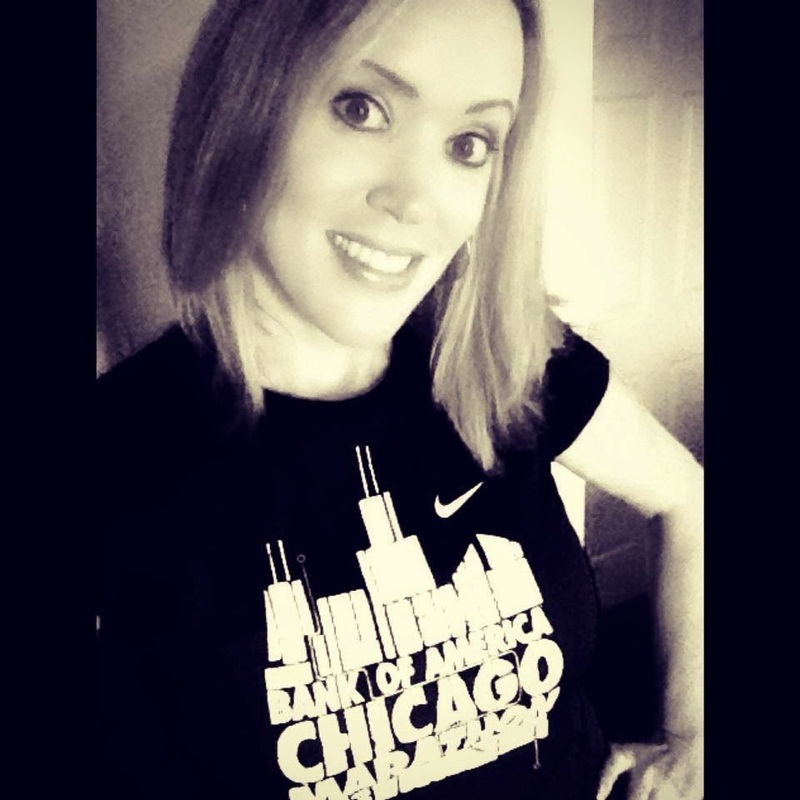 It was a learning experience, and YOU got to be in Chicago with a zillion other runners!! Awesome! I'm so proud of your dedication to running, and to your health. And there's always 'next time' just 7 short weeks away! Thank you so much Deb! No matter what, it was still an amazing experience. And I know next time will be better! I've heard that so many times too! It really does make me wonder if something was wrong with the gatorade. I really think that's what the problem was for me. Katie, I'm so sorry that your Chicago experience wasn't all that you had hoped it would be. Remember that a race is more than just race day - it's all the hard work that you put into the training. Please know that regardless of your time on race day, you are an inspiration to me and so many others. (I know this doesn't take away the sting of a bad race.) I love your attitude about your next race. Another chance for that sub 5 hour marathon is coming up very soon! I am just reading this now! I missed it somehow when you first posted it and then thought your fun Chicago recap was all you wrote! Sorry you didn't have a good run. I think those bad runs need to happen to us to give us strength and I it appears you have already drawn strength from the experience! You are a trooper and You will kill the next one! I totally agree that the bad runs only make us stronger. Next time will be much better! !